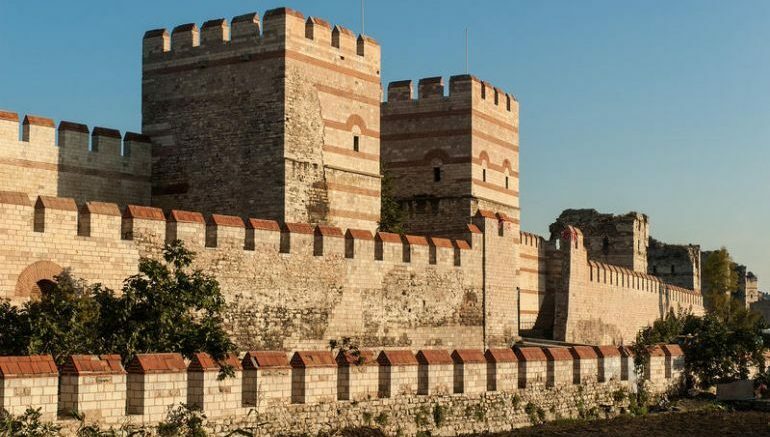 Often heralded as one of the greatest fortification systems devised in the history of warfare, the Theodosian Walls of Constantinople, built circa 5th century AD, was famed for its double lines and complex spatial elements. In fact, beyond just its sheer scale and size that encompassed a whopping 5.5 km (3.4 miles) of the city’s parameter, the testament to the effectiveness of these walls is history itself – with the massive fortification system playing its crucial role in defending Constantinople from the siege attempts of Avars, Arabs, Rus and Bulgars – and that too over a period of 800 years. Inspired by all these defense-worthy credentials, YouTuber Invicta has concocted a superb animated video that aptly presents the history and physical scope of the mighty Theodosian Walls (or Theodosianon Teichos in Greek), with the aid of the Total War game engine. 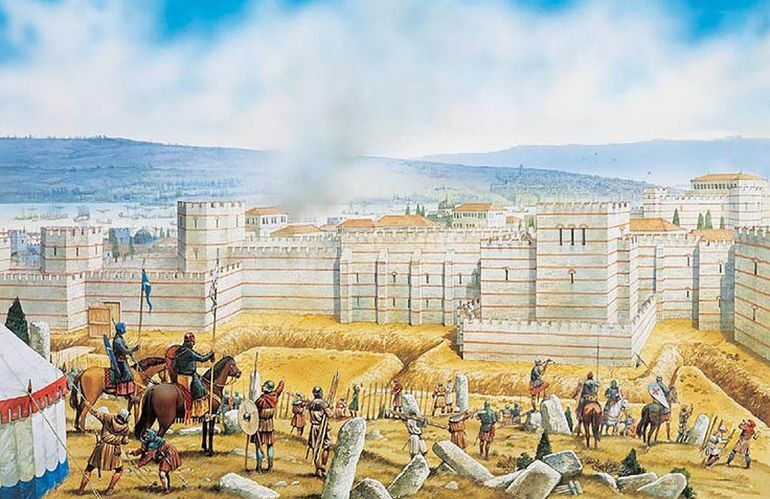 Beyond the historical scope covered by the video, we have decided to include some of the other ‘complementary’ defensive wall systems that were instrumental in guarding the fortified royal Roman city of Constantinople. 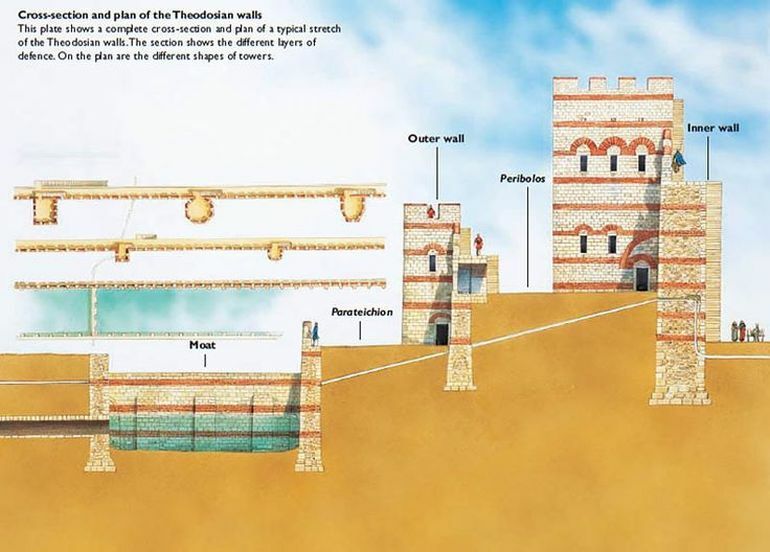 From the perspective of history, it should be noted that the Theodosian Walls of Constantinople entailed just one of the fortification systems for the major city of Constantinople. To that end, the first batch of land walls had their origins back in 6th century BC, when the settlement was founded by Greeks from the Dorian city of Megara and was known as Byzantium. In the subsequent years, the urban area rather thrived as a trading post with its own Acropolis, partly fueled by its strategic location as Black Sea’s only entrance from the Mediterranean. In spite of such commercial potential, Byzantium was not really an important city during the Roman Republic period. However the trade port flaunted its locational advantage during a civil war involving Septimius Severus – during which the city held out Severus’ siege for around three years (after joining the side of his foe Pescennius Niger). And while these fortifications were destroyed by the emperor on punitive lines, he later comprehended the strategic value of the trading settlement. 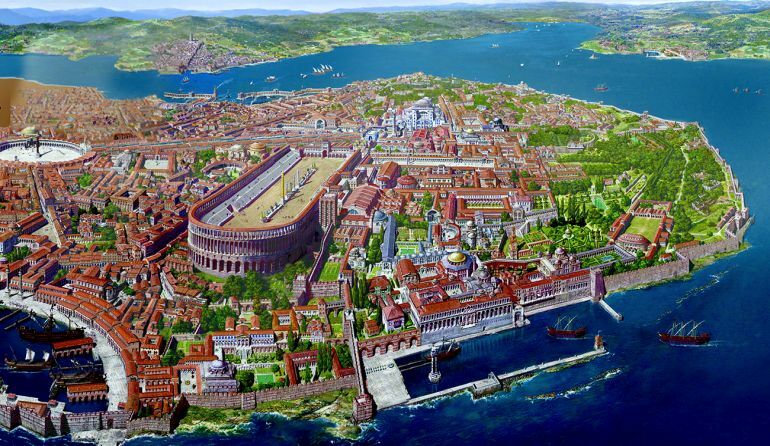 As a result, Severus went to add new walls, along with fortifications and public buildings inside the city, thus raising the status of Byzantium as an important Roman urban center. However it was Emperor Constantine who truly elevated the architectural ambit of Byzantium, by ‘re-founding’ it as Nova Roma (New Rome or Νέα Ῥώμη). This symbolic overture mirrored the entire shifting of the capital from original Rome to Byzantium in 330 AD, which was then called Konstantinoupolis (or city of Constantine). The city in itself was also called Roma Constantinopolitana, sometimes accompanied by prestigious titles such as Basileuousa (Queen of Cities) and Megalopolis (the Great City). Now beyond just christening, the shift of capital meant that Constantinople was now the thriving metropolis of the Roman world, ironically bolstered by the fact that original Rome (in early 5th century) struggled as a dilapidated city afflicted by squalor, administrative mismanagement, depopulation and even foreign raids and looting. 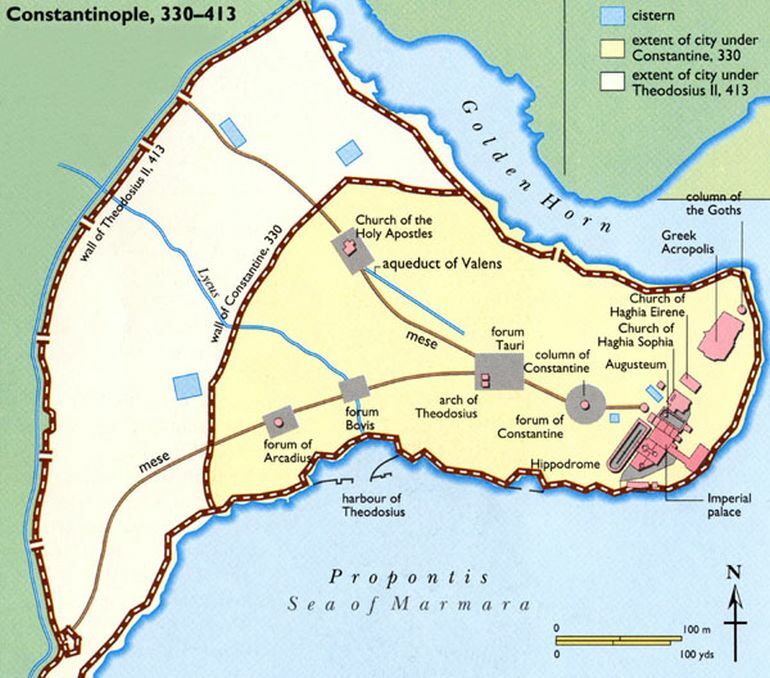 The rise of Constantinople as the largest European city (from 4th to 13th century) reflected in its imposing set of fortifications installed under the patronage of Constantine himself. The new wall system was constructed (n 324 AD) around about 1.7 miles (15 stadia) westwards of the earlier Severan wall, which rather increased the fortified area of the urban center. This Constantinian Wall comprised a single layer interspersed by towers at regular intervals – thus leading to a defensive framework that was later architecturally adopted for the renowned Theodosian Walls. Interestingly, while the video does an exceptional job of explaining the impressive defensive credentials of the imposing Theodosian Walls, a particular section in the north-west corner of Constantinople was actually left out of the major fortification. The zone comprised the suburb of Blachernae with its landmark famous church Panagia Vlacherniotissa. So in a bid to defend this strategic (and religious) sector, it was Heraclius who ordered the construction of the first batch of walls that mitigated the effects of an Avar siege in 627 AD. Emperor Leo V the Armenian built an additional wall in front of the Heraclean fortification in 814 AD, this time to defend against the advances of the Bulgars. And by 12th century, the very area of Blachernae was home to the imperial residence. As a result, Manuel I Komnenos ordered the construction of yet another wall system, which was later probably strengthened and even extended to connect to the Theodosian Walls. In spite of such measures, the Walls of Blachernae were possibly the weakest link in the land defenses of Constantinople – and it was through this point that the Crusaders managed to gain access into the fortified city during the infamous episode of 1204 AD. As von Moltke stated in the last century, the Bosphorus currents and south-west wind (Lodos) made it almost impossible for warships powered by oarsmen or sails to attack. Enemy access to the walls facing the Golden Horn was prevented by the presence of a heavy chain, supported by floating barrels, stretching across the mouth of this inlet like the present Karaköy Bridge. However by 8th century AD, the Arabs had conquered large swathes of areas in Syria and Egypt while making regular forays into the ‘bastion’ of Anatolia. Their rising acumen for naval warfare finally prompted the Eastern Romans to revamp entire sections of the sea-wall of Constantinople. In spite of such large-scale renovations (that increased the height of the fortifications), the sea-wall was rather unsuccessful in stopping the Venetians in 1204 AD.